Earn 679 points to spend on future purchases. I have been purchasing from this company for years.and will continue to do so. They are customer oriented. A great product, I didn't like the CPAP machine so the Provent Strips work well for me. Now that I use Provent both my husband and I sleep so much better. Way better than a sleep mask! I love Provent sleep apnea therapy. I could not tolerate the sleep mask and asked my doctor if there was any alternative. He mentioned Provent, but said it would not be covered by insurance. I do NOT understand why. It is as effective as the mask for me. Light and easy to travel with and nonobtrusive in the bedroom! 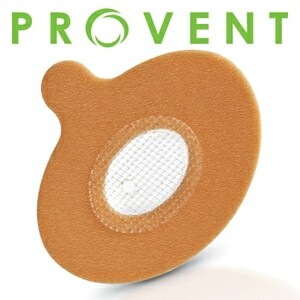 The provent sleep apnea therapy device is the only way I (and my husband) sleep at night. It worked from the first night. I have been using this device for about 3 years now and I would not ever go back to using a CPAP machine. Using Provent has improved the quality of my sleep as well as making my wife extremely happy that my snoring has completely disappeared. I used Provent for several months, and then found a product that was significantly cheaper, with the same concept, but different design. I have mild Obstructive Sleep Apnea. Sadly for me, the other product didn't work as well and I am feeling tired again, so I am returning to Provent. Despite the price, and the fact that I found it hard to get used to, I'd rather have something that works. For me, the CPAP was not an option. Luckily, Provent is available. They are so easy to use and I am getting solid, uninterrupted nights of sleep for the first time in ages. 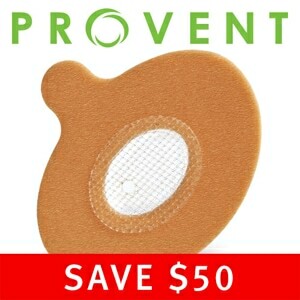 Thank you, Provent, and thank you, Direct Home Medical for offering them at a more affordable price than my doctor. easy to order ... quick turnaround. all good! Though I sometimes have problems with keeping Provent attached, it beats wearing a mask anyday!